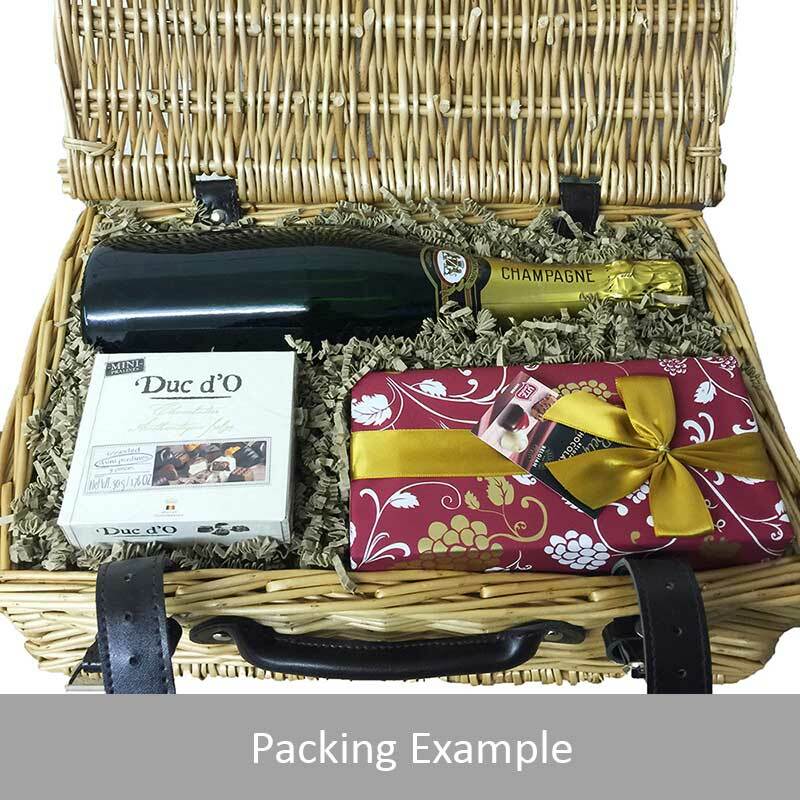 A delightful gift of Woodford Reserve Bourbon along with a box of Hamlet Belgian Chocolate Truffles (35g) and Belgid'Or Fine Belgin Chocolates (175g) all packed in a wicker hamper with leather straps lined with wood wool. All gifts come with a gift card with a message of your choice. Woodford Reserve Bourbon Woodford Reserve is a super-premium small-batch bourbon with roots at the Labrot & Graham Distillery (circa 1812) a National Historic Landmark in the bluegrass region of central Kentucky. Over 200 years of bourbon knowledge has gone into the making of this award-winning spirit. 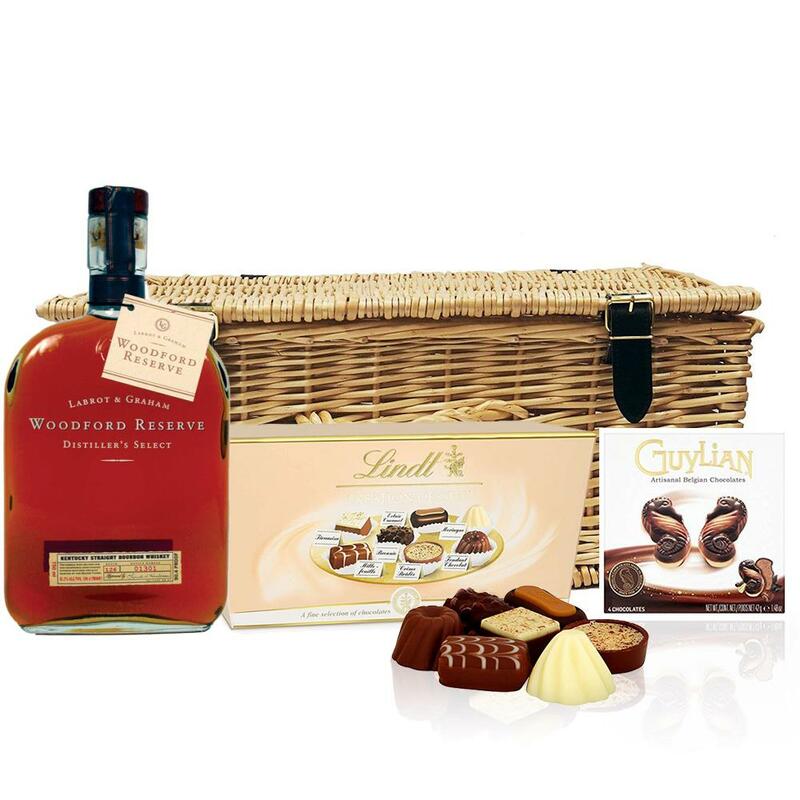 Labrot & Graham Woodford Reserve Distiller's Select is a superbly smooth flavoursome bourbon rich and full-bodied with a sophisticated range of flavours from Kentucky's oldest distillery.